Nowadays, an increasing number of people tend to change their mobile phones frequently. While, what makes them annoyed is that they have to import contacts manually when changing to a new phone. Luckily, here’re simple ways to backup Android contacts. On the one hand, you’re able to move your contacts to a new phone with ease. On the other hand, you’ll not worry about the loss of your contacts any more even if your Android phone gets corrupted, lost or stolen. Ok. Let’s see how these methods work. With this method, you can make the backup through your phone’s default device manager. Open the “Contacts” icon on your phone. Hit the Menu button at the lower right or left corner. Hit the “Import/Export” tab from the list that appears. 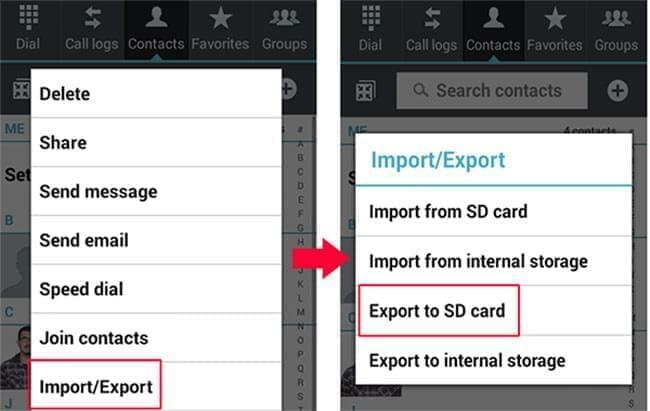 Choose the option of “Export to SD card” to backup contacts you need to. You don’t have to download or install any app. If your phone gets lost, so does your SD card and you’ll lose all your contacts. The second method that you can use to back up your Android contacts is by syncing your Android contacts with Gmail. Access the “Accounts and sync” option on your device by forwarding to “Settings”. 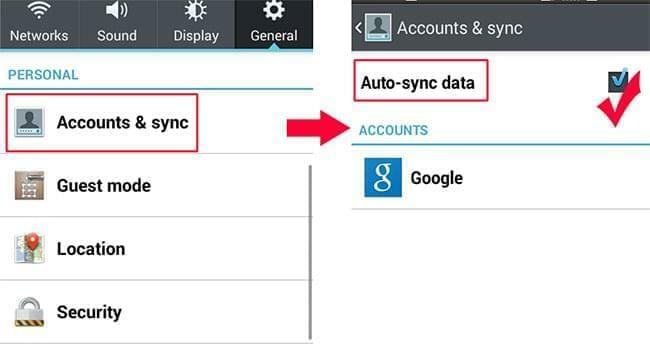 Turn on “Auto-sync data” and tap your Google’s Gmail account. Make sure the sync “Contacts” box is ticked then press “Sync now”. When sync is done, access the same Gmail account on PC and you should see a link under your profile that will lead you to the synced contacts. Next time you need to access or retrieve contacts, you can just go to sign in your Gmail account. It requires a Gmail account. It’s a little complicated as too many settings are involved in. In this case, you may wonder if there is a method that neither requires SD card nor complex setups. Yes! 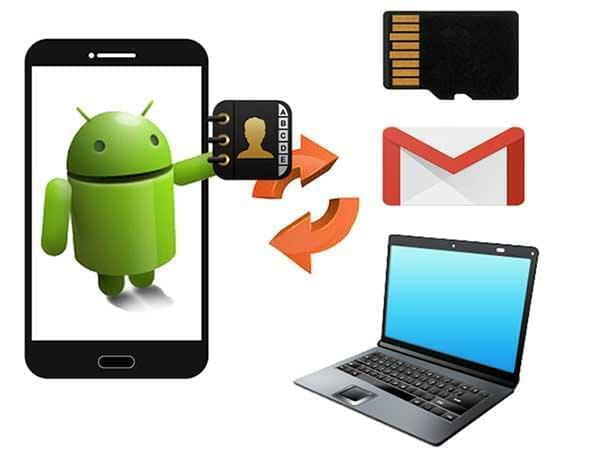 Now here’s a better method which you can use to backup Android contacts very easily. 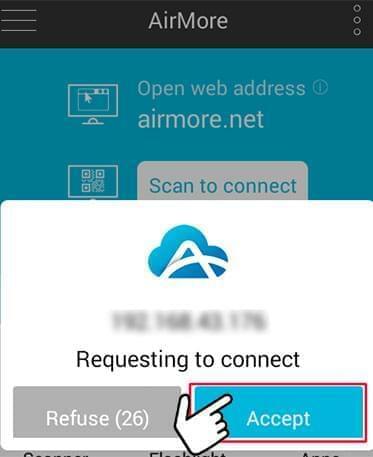 Type “AirMore” on Google Play store to download and install this smart tool on your phone. 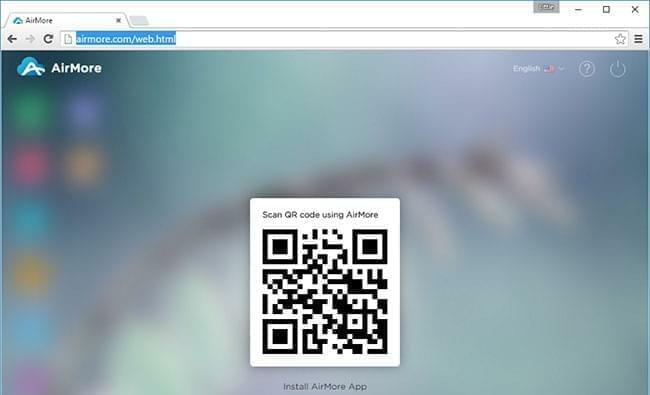 Once you have installed this app successfully, forward to the “airmore.net” through your PC’s browser to load a QR on the screen. Run the app on your phone and tap “Scan to connect” to scan the QR. In order to connecting successfully, please set up your phone and PC in the same Wi-Fi. Tap “Accept” when your mobile device pops up a window of “Requesting to connect”. Then your phone’s major information will be present on the PC screen. 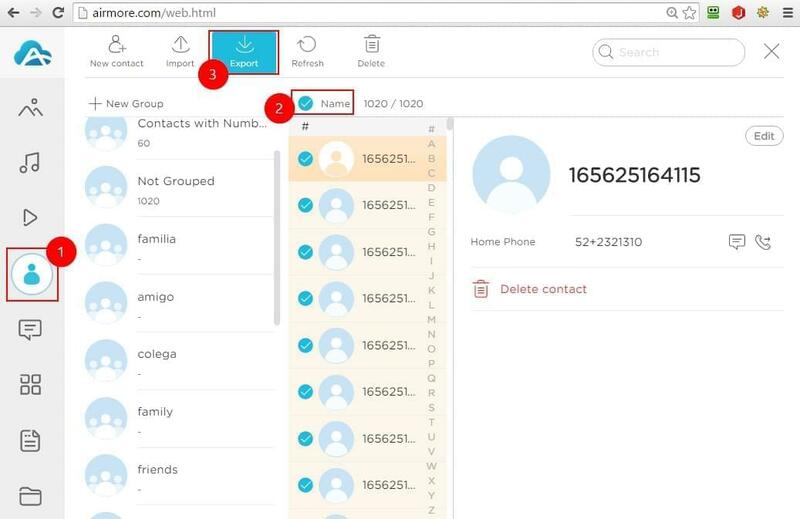 Click the “Contacts” icon on the left pane of the interface. Choose contacts you need to backup and tap “Export” option on the top. In this way, contacts will be backed up to your personal computer. Tips: The format of contacts you backup is XML which cannot be directly used on your phone. That is to say, you need to use AirMore to transfer them back to your phone. 100% free and safe. You can back up all your contacts in case your phone might be corrupted. From the detailed introduction above, you’ve grasped three ways to make contacts backup. While, taking all aspects into considered, AirMore’s the best and easiest method. With it, you can also manage and backup other files on your phone with ease, such as pictures, music, videos, apps, documents and so on. In addition, you’re able to directly enjoy the music and videos of your device from web rather than download them first. All in all, you’ll find that this tool really facilitates your daily life.